Visiting your dentist regularly and having your teeth professionally cleaned makes a drastic difference in your overall health. A clean mouth not only reduces cavities, but can also greatly improve the health of your entire body. Healthy teeth allow you to eat the food you need, while also reducing the amount of harmful bacteria you swallow. Read more about the benefits of dental visits here. We all know what to do — and what not to do — to prevent heart disease. Don't over eat salty or fatty foods. Get exercise and rest. Eat your vegetables. Take medications to prevent worsening of an existing condition. Read more about preventing heart disease by brushing your teeth here. Who doesn't want to look younger? Or better? Some people, surprisingly, may shy away from changing their appearance for the better. In a world obsessed with looks, sometimes it is thought to be superficial to even consider cosmetics and beautification programs. You may feel the same way about altering your teeth. Dental implants however, are more than a cosmetic make-over. Read more about looking younger with dental implants here. Do you feel self conscious about laughing or smiling in front of other people? Do you try to hide your mouth's problem areas from others? If you have stained, crooked, gapped, decaying or missing teeth, it's easy to lose your confidence. 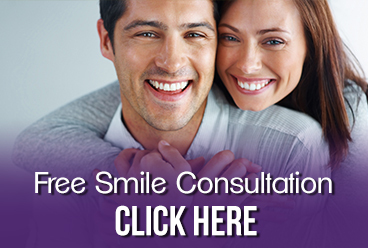 Read more about regaining confidence with cosmetic dentistry here. There are many people who don't like the dentist and yet, take such little care of their oral health that they end up having to make frequent trips to the dentist to heal or repair the damage to their teeth. Read more about how to avoid time in the dentist chair here.